Krookodile is an awesome beast from Gen 5. Having used one in Pokemon White, I know how he can wreck teams. His good stats and great abilities make him a true force to be reckoned with on the battlefield, but beware of his new weakness to fairy types, which can stop him dead in his tracks. Intimidate: Upon entering a battle, the opponent’s Attack is lowered by one stage. This is a good ability, as it can help Krookodile take an extra hit if it has to, but it’s next ability is far better. Moxie: Boosts Attack one stage after knocking out an opponent. This is Krookodile’s selling point and what puts him into UU. Send him in for an easy revenge kill and begin the sweep. Anger Point: If Krookodile is hit with a critical hit, it maxes out his Attack (6 stages or 4x). Very situational and unlikely to happen. The croc probably won’t survive a crit in the first place. Krookodile’s good base 92 speed boosted by a Choice Scarf makes him very fast, infact faster than all Pokemon in UU without a boost to speed. Earthquake and Crunch are you two reliable STAB moves. Stone Edge provides coverage against Flying, Ice, and Bug types, the latter two of which can be a threat to Krookodile. Superpower hits other Dark types along with Normal and Ice types, and if it kills it’s attack drop is negated thanks to Moxie. Outrage is powerful and hits Dragons hard, but locks you in and confuses you. The lock in can turn into a free switch for any opposing Fairies. Pursuit is also an option for hitting any Pokemon that might switch out. I made this up in about ten minutes, so this is pretty gimmicky, but feel free to try this out! 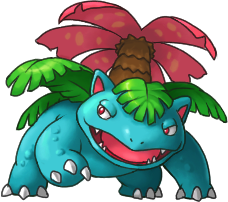 Krookodile has good HP and decent Defense so you could try to pull off a defensive set starting with Stealth Rock, a crazy entrance hazard that will drive your opponent bananas. Earthquake is always a good move and has decent coverage as well. The next part is going to be a bit crazy. Roar and Dragon Tail both switch out your opponent so that they take Stealth Rock damage and lose momentum. Roar may be preferred as Dragon Tail cannot hit Fairies. Crunch is a good STAB Dark move, but Foul Play may be better if you are up against a physical opponent because it uses your opponent’s Attack stat against them. Bulk Up can be used to increase bulk and hitting power. Taunt breaks down walls and Toxic is a great status as always. Use it in conjunction with Protect and leftovers for free healing and damage. Intimidate is viable here to possibly take another hit you choose to use it. If you feel the need to change the Nature/EV spread, make sure to take into account that Roar and Dragon Tail have negative priority, meaning that they will go last, so a +Speed nature or Speed EV’s will not help in this case. Brick Break is an alternative to Superpower that doesn’t lower stats, but it is quite a bit weaker. Aerial Ace hits Grass types, but only has 60 base power. Rock Slide is weaker than Stone Edge, but is more accurate and has a decent chance to flinch. Power-Up Punch is cool and can make you a beast, but Moxie kind off already does that. Krookodile can learn Spite via move tutor in B2W2 for some reason, which could be cool I guess. Krookodile can beast if he gets even one kill and sweep through a team, but his 6 weaknesses and predictability make him rather easy to counter, so be sure to use him carefully. He’s really cool looking and a great Pokemon to use in a playthrough if you haven’t used him before. Often considered the less viable evolution of Clamperl, Huntail is still quite usable in NU due to its access to Shell Smash. Although its counterpart, Gorebyss (who has more power), and Carracosta (who has better Defense, HP, and the ability Solid Rock) are arguably better at using Shell Smash, it is still a great weapon for Huntail. And plus, Huntail, just looks awesome. I mean, who wouldn’t want a vicious eel Pokemon? Swift Swim: Swift Swim is necessary because of Huntail’s dire base 55 speed. So that means that you pretty much have to run Huntail on a rain team. Swift Swim makes Huntail’s speed a nice base 110, allowing it to outspeed many more Pokemon than it did before. Dream World: Water Veil: Unless you really have a grudge against Will-o-Wisp, this ability is far less superior to Swift Swim. Shell Smash is what makes Huntail competitively viable. You double your Attack, Special Attack, and Speed, while lowering your Defense and Special Defense by one stage each. The White Herb will restore these losses if you choose to use it. Waterfall is your go-to Water move and has a chance to flinch. Ice Beam is a special move, but Huntail’s base 94 Special Attack is definitely usable, especially after Shell Smash. Ice Fang’s base 65 power just doesn’t cut it here. Return and Crunch both hit different things hard. With Return, you get perfect neutral coverage outside of Empoleon and Jellicent and 102 base power, while Crunch hits Psychics, and Ghosts, but fails to hit Water/(Fighting/Dark/Fairy), whose main threats are Mega-Gyrados, Greninja, and Azumarill and only 80 base power. The reason Baton Pass isn’t on here is that it is illegal with Shell Smash in RU and NU, but it is legal in UU and above (although Huntail isn’t as good at passing Shell Smash as Gorebyss). As for the other items, Life Orb gives a 30% boost to every attack, but takes 10% of your health in recoil, while the Muscle Band adds 10% damage to physical attacks with no recoil. Make sure that you are running this set (and pretty much all of them) with a rain supporter like Ludicolo. The nature for this set is interesting. Since you have Ice Beam, you don’t want to have a Jolly nature, which will take away Special Attack, so go with Naïve or Hasty, which will cut one of your defenses instead. You could go with +Atk -Def/SpD, but if Huntail gets caught out of rain, he will not be as fast. This set looks a lot like the last one, just without Shell Smash and with Ice Fang, not Ice Beam. Waterfall is a great attack. Ice Fang slightly passes Ice Beam due to the Choice Band being present. Without Shell Smash, you can put on both Crunch and Return for completely perfect neutral coverage. The Choice Band set is not as powerful as the Shell Smash set, but prevents the risk of getting taken out in the first turn. You could run Adamant (+Atk -SpA), but again, more speed is important if rain ends. Huntail has a decent Defense stat and support movepool, so try this one out. Iron Defense and Barrier both double your defense, only the latter one is an egg move. Waterfall is your go-to attack as usual. Rain Dance can support other members of your team with Swift Swim/Dry Skin/ Rain Dish etc. The last slot has plenty of options. Baton Pass can pass your defense boost to a teammate. Refresh can get rid of status. Toxic is always great. So is Protect. Ice Beam gives extra coverage. You could also get rid of Rain Dance and do a Toxic/Protect combo. As for the item, Leftovers restores health and Damp Rock makes rain last 8 turns instead of 5. A careful nature will boost you low Special Defense at the cost of Special Attack, which is of no concern unless you are using Ice Beam. The first EV spread maxes out your Special Defense, which is recommended. The second spread I made up. The numbers have no significance, but it’s an idea if you want to go more even in defenses before boosts. ResTalk + Lum Berry. If you have a bulky enough build, you could maybe pull this off. Sucker Punch is a great move, but is only available from Move Tutors in Platinum, HeartGold, and SoulSilver. Super Fang from a Move Tutor in Black and White 2 could be great on a bulky build. Aqua Ring can go on a bulky set, but is Egg Move only. Confuse Ray is always fun, but is also an Egg Move. Body Slam (yet another Egg Move) is weaker than Return, but can paralyze. Whirlpool, Clamp, and Bind can all trap, but are relatively inaccurate, each having 85 accuracy. You can use a Focus Sash on the Shell Smash set to guarantee another turn. Huntail has great moves, but lacks the stats to pull off a very effective strategy. He is often overshadowed by his more powerful counterpart, Gorebyss, who is more effective at setting up Shell Smash. Additionally, his plain Water typing and low Special Defense makes him easy to kill with moves like Thunderbolt and Giga Drain. If he is under rain and can set up a Shell Smash, though, Huntail has the potential to pull off a massive sweep. Blastoise is awesome. He’s really bulky in defense and special defense and can use both physical and special fairly well. What really kills him is speed, though. 78 base speed isn’t all that ideal. But Blastoise is awesome anyways. Torrent: When Blastoise’s HP is below 1/3, your Water type attacks are multiplied by 1.5. Pretty nice add-on to STAB. Rain Dish (Dream World): When it’s raining, Blastoise gets 1/16th of his HP back at the end of every turn. That’s a great add-on to Blastoise’s defenses and will really drive your opponent crazy. A combination of awesome moves. Hydro Pump is you main move. You could go with Surf for better accuracy, though. Earthquake is amazing and takes out electrics and steels. Blizzard hits most everything hard and takes out dragons and grass types. Ice beam is an alternative with better accuracy. The last slot is your choice. Rain Dance is good with Hydro Pump and Rain Dish whereas Flash Cannon lets you take care of Ice types. Either way, no single type is resistant. The Damp Rock allows Rain dance to last 8 turns. The Wise Glasses raise the power of special attacks by 10%. It’s awesome that Blastoise gets Rapid Spin. Rapid Spin takes out entry hazards. Rain Dance raises the power of Water type moves and makes Thunder always hit. Toxic badly poisons and it hurts more every turn. Hydro Pump or Surf keeps you from being Taunt bait and works well with Rain Dance. Skull Bash is cool. You raise your defense the first turn, then attack the next turn with plenty of power. You could also use Iron Defense to make yourself a physical wall. Aqua tail is a cool physical water type move, but Waterfall has a more accuracy and a drop in power. Toxic is great for stalling moves like Dig. The last slot is your choice. Earthquake is awesome. Gyro Ball could be awesome with your low speed. Return is another physical move that gets good coverage with water outside of Jellicent and Ferrotron. Dig stalls for Toxic damage. Brick Break is good for a wide range of types. Protect is another option to stall for Toxic damage. Sweeper: You want max special attack and max speed or defense. Rapid Spin: Max HP and max defense or special defense. Skull Bash: Max attack and max defense or special defense. Blastoise is an awesome starter with tons of bulk and plenty of options. Although he is mainly used for spinning, he can be physical and special sweeper and has plenty of other support moves. Blastoise is my personal favorite Kanto starter and is great for in-game use in FireRed and LeafGreen. Blastoise is very special in being a tank. Tons of good moves and an impenetrable wall. Usually a popular choice, Charizard has an immense sp. att. and a pretty good movepool. He has access to about every good fire attack out there and some other cool moves so he has enough to make a few sets. Blaze: When HP is lower than 1/3, power of all Fire type attacks is raised by 1.5. I like it because it gives Charizard a good boost considering his bad defense. Solar Power: Much, much better. In sunshine, Charizard’s sp. att. is raised by 1.5. That makes his BASE sp.att. to 163.5. 163.5! That is sick. Plus fire type attacks work better in sunshine, so Overheat would be like diving into the center of the sun. I don’t care do the math. Yeah, this is a wall smasher. This is a set using Charizard’s best attacks. Fire Blast is a great fire type move. Overheat is better, but then you would be weaker in attacking due to losing 2 sp.att. Heat Wave has less power than Fire Blast, but more accuracy. Sunny Day raises the power of fire type attacks and makes Solarbeam attack faster. Solarbeam takes care of waters, rocks, and grounds. Earthquake takes care of other fires, but Focus Blast hits steel types hard. Charizard has a lot of physical attacks, but lacks a good attack stat. Swords Dance boosts your attack, which you dreadfully need. Earthquake is an awesome move that Charizard has access to. Flare Blitz is your main move here. Other than that you have lots of options. Brick Break is a cool fighting type move. Return can be really strong. Dragon Claw… is another physical move. Shadow Claw can take out Psychics. Rock Slide is good against flying and fire types, but Earthquake already takes out fires. Dragon Tail can ruin your opponents strategies. This is a support set. I’m not sure if it will work, but go ahead and try it out. Toxic deals more damage every turn. Will-o-wisp is another option. Protect stalls for Toxic/Will-o-wisp damage. Fire Blast gets a boost of accuracy from the Wide Lens. Earthquake is awesome. Wide Lens raises your accuracy by 10%, whereas the Zoom Lens raises your accuracy by 20% if you attack second. Hone Claws boost attack and accuracy. Flame Charge is a good move as it boosts speed. Fire Spin is a good trapping move. Inferno burns, but has horrible accuracy. Air Slash is a special flying type move. Charizard is immune to Earthquake, but gets hit hard by Rock Slide and Surf. He does have Earthquake himself, though, which is nice. He also gets Heat Wave. Flame Burst also hits multiple opponents. Fire Spin can trap. He can burn and poison which works well with Fire Spin. I’d say he’s pretty well off in doubles and triples, but watch out for Rock Slide and Surf. Charizard is an awesome Pokemon, but he doesn’t get very many special attacks, which is his forte. He has some competition, too, against Ninetales, Volcarona, and Reshiram. But his Dream World ability lets him rock the house. He truly is the king of Fire Type Pokemon.